Bright Futures is an empowerment program and support group for young mothers ages 18 to 30 living in Kibera. Formal education and employment opportunities in Kibera are limited, making it challenging for Kibera’s youth, particularly young women, to find productive ways to earn income and utilize their free time. Bright Futures was founded in 2015 in partnership with the Junior League of Evanston-North Shore to empower women to be able to work together, gain skills, and find solution to support themselves and their families. The program and all activities have been designed and implemented by the group members, ensuring that they feel ownership of the group and value the group’s sustainability. Uweza and Junior League’s role is to provide guidance, oversight, and funding for the group’s activities. Group members participate in a “merry-go-round” savings scheme, where each group members contributes a small amount every week and then all group members take turns taking the total amount home. Group savings encourages saving through accountability to fellow group members and security of the savings. The Bright Futures program has held two different business and finance training sessions, led by a certified trainer from the International Labor Organization. Topics of the training include entrepreneurship, generating a business idea, market research, marketing, record keeping, and group savings and loans ideas. All participants were also taught how to create a business plan and business proposal. In the future, we hope to provide business grants to group members with strong proposals so that they can start their own small businesses. Bright Futures members have taken responsibility of cleaning the Uweza Community Center and washing jerseys from our soccer program twice a week, for which they earn a reliable income. 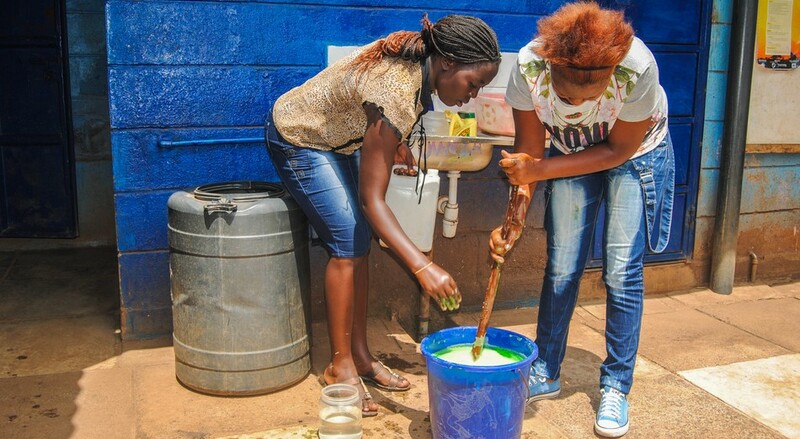 They have also start a group liquid soap-making business; they make and sell the soap as a group and share the income. 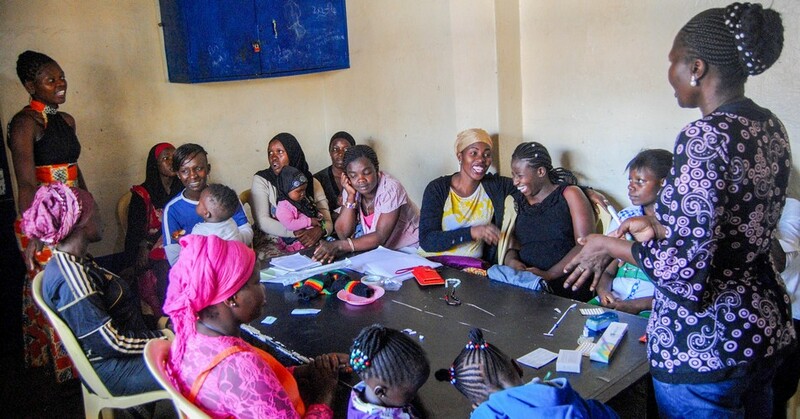 Group members participate in a life skills training session once a month at their meetings on topics related to being a young woman and young mother in Kibera, often led by an outside facilitator. Topics have included family planning, child health and nutrition, HIV/AIDS, and the importance of education for children. Group members have also participate in computer training sessions at the Uweza center’s computer lab. Bright Futures has helped empower the women in the program to stand on their own and support themselves and their families through provision of knowledge through training, improved financial sustainability through group savings, and opportunities to earn income. All of the women in the program are mothers so the impact of the program on them automatically extends to their children as well as their partners/spouses and households. All of the members of the Uweza community are aware of the group’s activities and see them meeting every Saturday and participating in income generating activities at our gender and this also helps combat gender inequality and challenges societal norms about women needing to be reliant on men for income. In 2017, we created the KLM Legacy bracelet in honor of Karen Miller, a dear friend and the driving force behind the creation and sustainability of the Bright Futures program. Each bracelet was handmade by a woman in Kibera and the beads on the bracelet represent events, relationships, and experiences in Karen’s full and vibrant life. To learn more about the bracelet and how to purchase, visit: https://uwezakenya.org/klm/. All of the proceeds from the sales of the bracelet support the Bright Futures program.